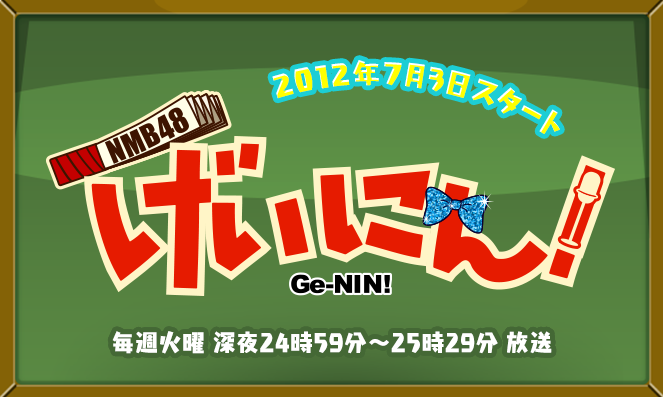 NMB48 will get a new regular TV show called [NMB48 Geinin!] starting July 3 on NTV. The show will be broadcasted every Tuesday and is described as a comedy drama. The NMB48 girls will play students of the 'Namba Jo-Gakuin' (Namba Girls School/College) and the school's 'comedy club' will be the stage for this show. The goal of this club is to win a comedy competiton for female high school students, but on the way to that they have to deal with incidents and accidents and get into troubles with all the weird and unusual clubs of Namba Jo-Gakuin. Hmm this looks like something I may watch. I am not very familiar with NMB48 so this will be interesting. Just watched the first episode. It looks like basically the same format as SKE48 no Magical Radio, except set in a high school instead of a radio station. Not that it's a bad thing, since Magical Radio was great fun to watch. I watched the first ep last night. Looks like it's gonna be a fun show. The acting is 5th grade school play bad but I don't think it really matters for this show. Then again, it was the first ep of NMB's first scripted show. It could get better. 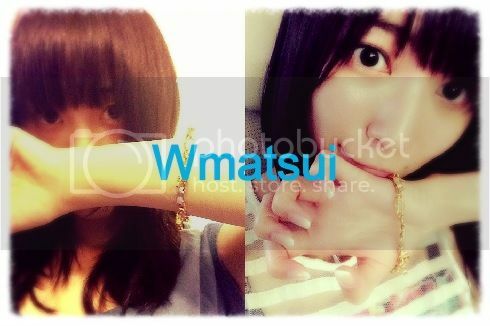 And I gotta say, Watanabe Miyuki... this settles it. This girl knows she makes guys horny and totally gets off on it. I've never seen a better teaser and pleaser in the idol world. Eriko, please sign me up for this thread! i've watched the 4 episodes. i won't say that it is g good show.but, i found it pretty entertaining. i don't understand japanese but this show could make me laugh.. I'm only on episode two, but I'm actually really loving this show right now. I didn't expect to like it and I first I was really turned off by the horrible acting. But, eh it's actually really funny. 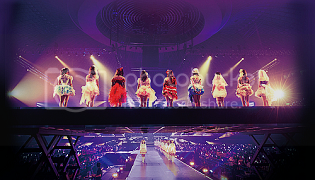 Plus Sayanee, Milky, Jo and Maachun, what's not to like about that? Is Geinin oh hiatus right now? Anyone know when will episode 5 airing? From the review, ep 5 is nurse and doctor right? me do want to see it! !